Home / Celebrities / Celebrities & Fitness Trainers / 305 Fitness Entrepreneur Sadie Kurzban Slays It With Dance & DJ! 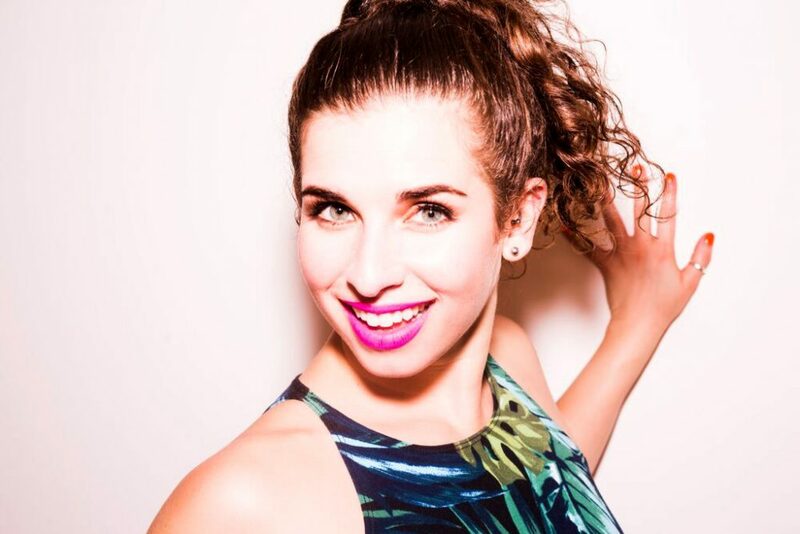 305 Fitness Entrepreneur Sadie Kurzban Slays It With Dance & DJ! While still in college, Sadie founded ((305)) Fitness. Meet the pint-sized 26-year old and you’ll know: she ain’t exactly a shrinking violet. From a home that was half-Jewish half-Cuban, she owes her loud mouth and sense of humor to her “Jewban” roots. Sadie is both grounded and upbeat. Come as you are. Sadie’s style of coaching is all about liberation; she will push you to your limit so you can unleash your inner beast within. While giving you plenty of motivating mantras and bursts of high-powered, full-body sprints, Sadie will also give you the room to play and be yourself (and most likely, make a friend or two). Sadie has been featured in numerous outlets including Good Morning America, the Today show, Inc, Cosmopolitan, Refinery29, the Washington Post, and the New York Observer for her unique ability to turn painful workouts into sheer bliss. Lets get to know some health & fitness secrets from Sadie Kurzban as she catches up with Namita Nayyar, President Women Fitness on the eve of International Women’s Day. You have shot to fame with your super-amazing dance-based workout classes. Introduce us to New York’s latest fitness trend, 305 Fitness. ((305)) Fitness is a dance cardio workout with a live DJ. Picture it like this: you, smiling your face off, sweating like a beast, and feeling like a goofball, like you’re drunk at an awesome wedding. People are crazy about this workout because it’s so easy to follow and it’s just plain fun. Unlike a lot of dance cardio on the market, you don’t need to be a dancer to do ((305)). The beauty is in the simplicity: a live DJ gets you going and the instructor keeps you moving. You’re done in 55 minutes and you can’t believe it’s over when it’s done, because you never want to watch the clock in this class.